Cornbread is simply a deli that is made with cornmeal. If you base your expectation over the ingredient, it would seem like there is nothing special about cornbread at all! But what goes with cornbread makes it special. There are a lot of different methods to prepare a cornbread. Whatever your chosen recipe is, it goes well with a lot of different types of meal. You would be surprised to know that other than chilies and beans, there is other great stuff to pair cornbread with. First of all, we cannot leave chili casserole and cornbread behind. This may be the best food you can eat with cornbread. Preparing it is not as easy as microwave popcorn, but it is worth all the effort. If you want to prepare this, make sure you gather all the ingredients in advance as there are a lot you might need! 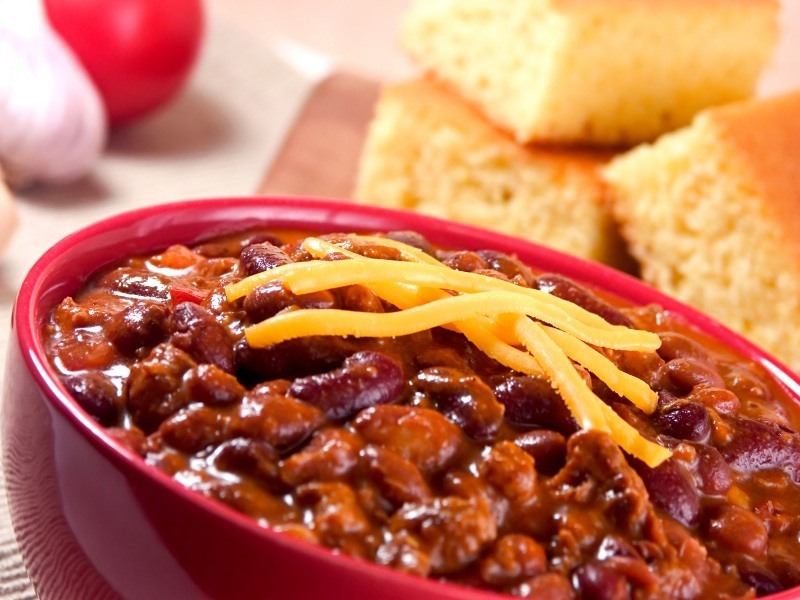 Chilies are best served hot with cornbread topped with cheddar and sour cream. There is something in this combination that makes you want more. Especially, adding beans to your chilies make it more fantastic. If you have the time to cook and bake, why not try a chili cornbread pie? No one would disagree that barbecue is a great dish. 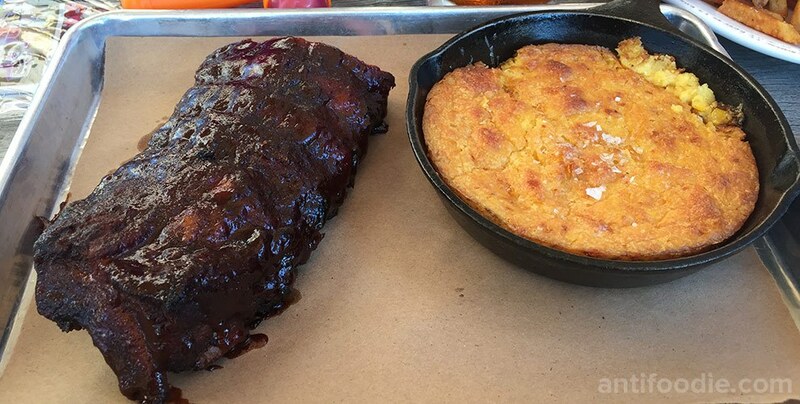 If you can get your hands on some back or belly ribs for barbecue, you can pair it with cornbread! If you want to have the best barbecue for your cornbread, try wrapping your ribs seasoned with salt and pepper with foil and bake it for 1 hour and 45 minutes at 450 deg Fahrenheit. Peel the foil and brush a generous amount of barbecue sauce. Cornbread is a versatile deli and can go well with salads. Serving a Caesar salad with cornbread is a delightful meal already. Cut your greens, splash some balsamic vinegar and toss. 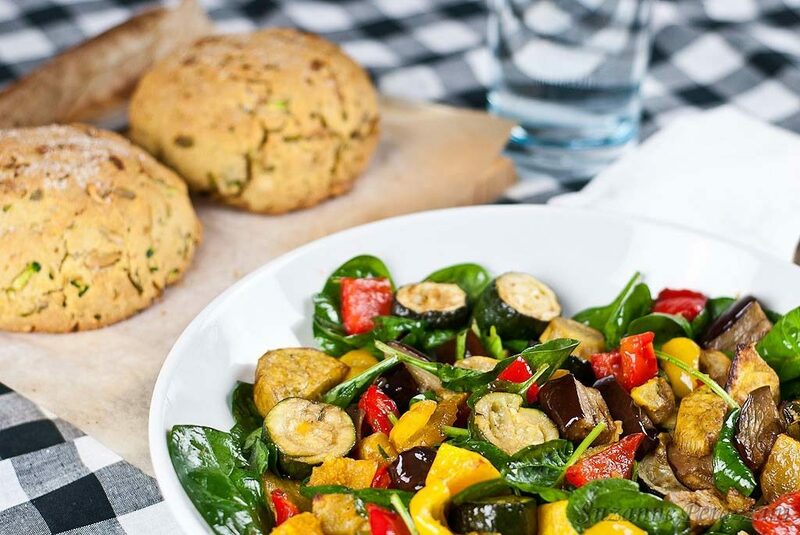 If you are not a fan of balsamic vinegar, you can replace it with a salad dressing of your choice. Toast your cornbread and crisp the outside. Serve on a plate and enjoy your dinner! 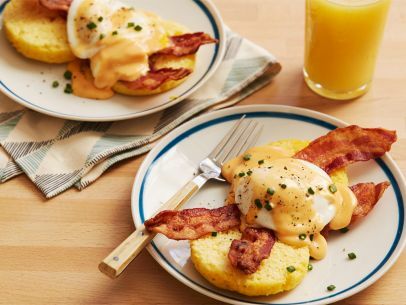 Yes, eggs and bacon can be a great companion for cornbread. Don’t forget to splash some honey! 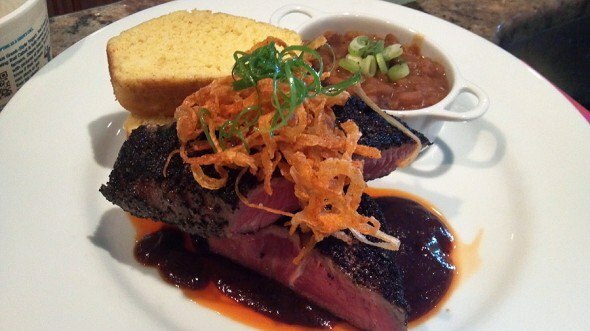 A chunk of gorgeous steak with cornbread is also a night worth looking forward to. A nice pink steak seasoned with salt and pepper cooked to perfection served with earthy mushroom gravy will surely make you want to go home! This is fairly easy to prepare but quite tricky to cook. Cooking steak is an art of mastering the right amount of time in the right level of heat. A hot cornbread alongside can fill the stomach to satisfaction. The origin of pork and beans in quite vague and many countries have their version of it. It goes by different names too. Many people love this dish. You can even buy a ready-made pork and beans in a can or a microwave ready version. Having it in can only show that many people like this very much that they even want it right out of the can! 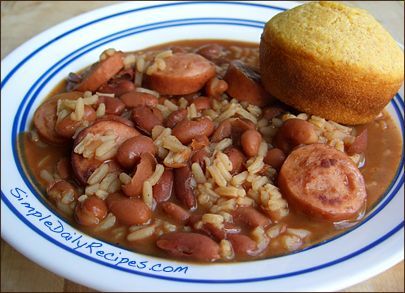 You can serve it with cornbread and fill your stomach with its goodness! 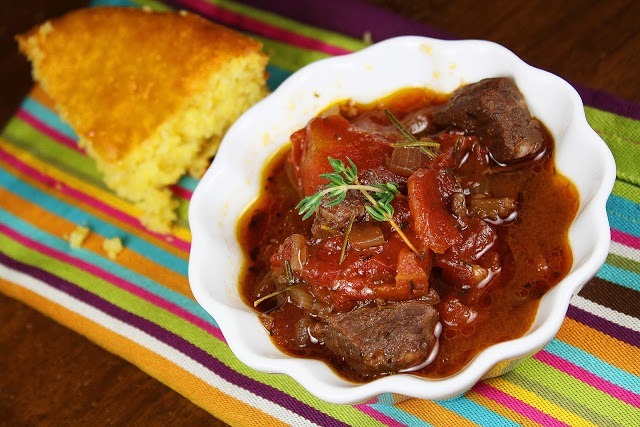 Another great way to serve and eat cornbread is with a hot stew. The thick stew and rich flavor melds with the soft texture of the bread well that leaves you wanting more. There is something mysterious with stews that make it yummier the next day when you reheat it! If you haven’t had enough, you can reheat the stew and cornbread and have another great meal out of it! This might sound weird for some, but cornbread can be a great nostalgic dessert! For the southerners, this can remind you of your childhood or your grandparent's cabin. Remember when you used to crumble cornbread and mix it with sweet milk? Tastes like nostalgia. I think this qualifies as a great dessert! 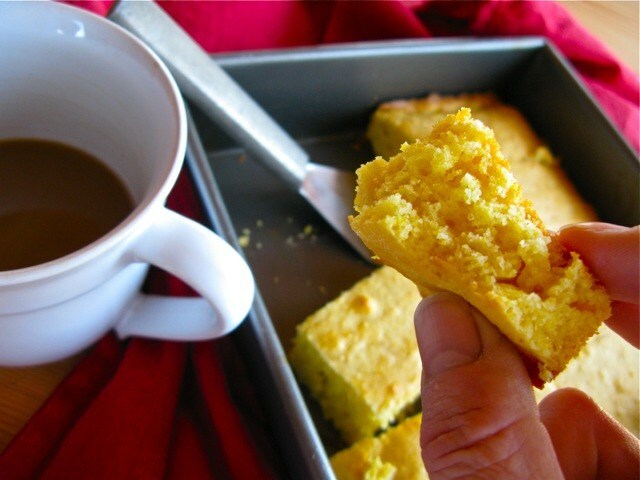 By far, the simplest way and most enjoyable way to eat a cornbread are with coffee, tea, or hot chocolate with amazing friends. Nothing beats a great conversation with friends while enjoying coffee and cornbread. 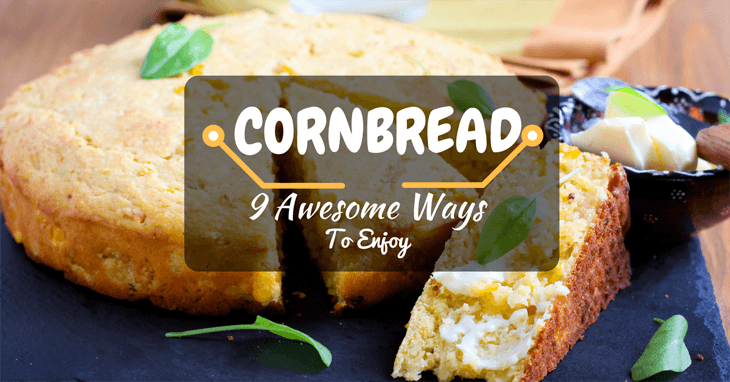 Cornbread is a versatile food that goes well with many other dishes. You can serve it over several courses of the meal and still crave for more! It is great for stews and beans. Cornbread is also perfect for barbecue and chilies. Somehow you now know what goes with cornbread in a lot of different ways! On top of it all, it is a great dish to serve and eat with friends over coffee on a cold winter night.